"Reviewers have compared his series to The Hunger Games ... but it’s better written and more thought-provoking." Hugh Howey spent eight years living on boats and working as a yacht captain for the rich and famous. It wasn't until the love of his life carried him away from these vagabond ways that he began to pursue literary adventures, rather than literal ones. Hugh wrote and self-published his first adult novel, Wool, which won rave reviews and praise from readers. 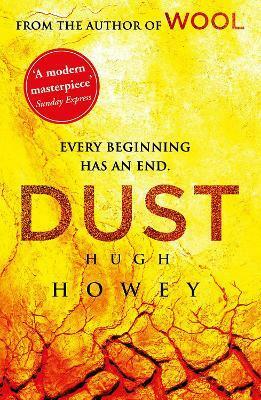 Dust is the final part of the trilogy. Hugh lives in Jupiter, Florida, with his wife Amber and their dog Bella.